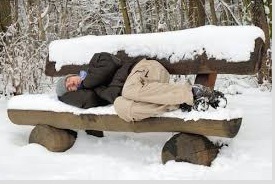 BTEO shelters the homeless in Falmouth during the winter months. People can survive living rough in the summer but it's another thing entirely in the winter. Freezing temperatures, wet weather, snow, mud, no place to get warm. Or cook a meal. Or take a bath or shave or do laundry. Or plug in anything. Or have any privacy. By providing temporary housing, BTEO gives our homeless neighbors access to basic amenities. And helps them access vital services. Put yourselves in the place of our less fortunate neighbors and think how you can help. You know and we know, everything depends on people. People helping people, people trusting people, people with big hearts and strong hands. BTEO has been very lucky in finding leaders realize our desire to make a difference for our homeless neighbors. Paul McCadam was a founding member of the organization. He is Chairman/CEO of MAC Consulting Group, a national management consulting firm working. Having served on numerous boards, he has extensive experience with homeless organizations including vice president/executive board member of St. Paul Community Development Corporation, an inner city men’s shelter and food pantry, located in Paterson, N.J.
Norma joined the Board in 2017. In addition to her BTEO work she serves as chairperson of the Outreach committee of her church and as a member of Falmouth's Essential Services Network. Ed is a five-year resident of Falmouth. He is the Advocate Coordinator for the St. Vincent de Paul Society of St. Anthony's Church in East Falmouth. He is also the current Vice-Chair of Falmouth's Affordable Housing Committee. He retired two years ago after working for 37 years in the educational testing business in Princeton, NJ. Sonya moved to the Cape about 30 years ago from Rochester, New York. She retired from nursing in 2015, after spending most of her career as a psychiatric nurse. Sonya enjoys volunteering, crafts, gardening, baking and traveling. Paula Beckerle works at the Woods Hole Research Center, a climate research think tank. She has worked in the Development field for over 15 years. She was the Program Director and Board member at Circle of Hope, a non-profit that provides clothing to Boston's homeless. 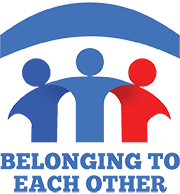 Belonging To Each Other is a mostly volunteer organization with three part-time paid social workers. We rely on volunteers all year round, as well as many local businesses and community groups for support. 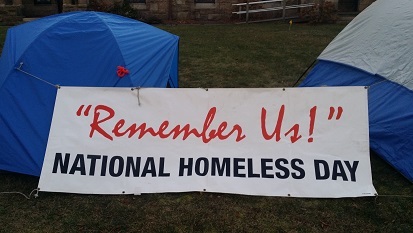 Alan, is a professional social worker who founded Homeless Not Helpless in Hyannis. He had the idea that people in need of housing would be better off in their home communities near local support systems. He worked with the founders of BTEO to create our program and now serves as it's intake and program coordinator. We are grateful to these Falmouth businesses and community groups that have supported Belonging To Each Other.